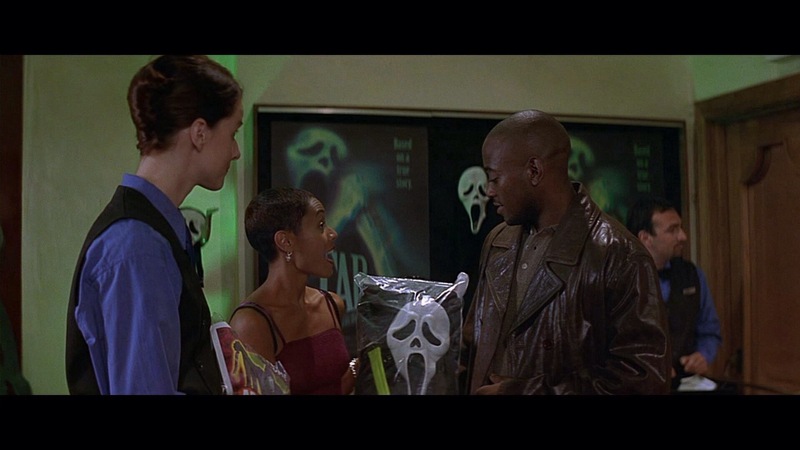 After the massive success of Scream almost exactly 1-year later saw the release of Scream 2. In general most sequels fail to be as good as the originals and in the case of the horror genre that is even truer. As far as horror sequels go Scream 2 isn’t exactly Bride of Frankenstein, but it isn’t Jason X either. 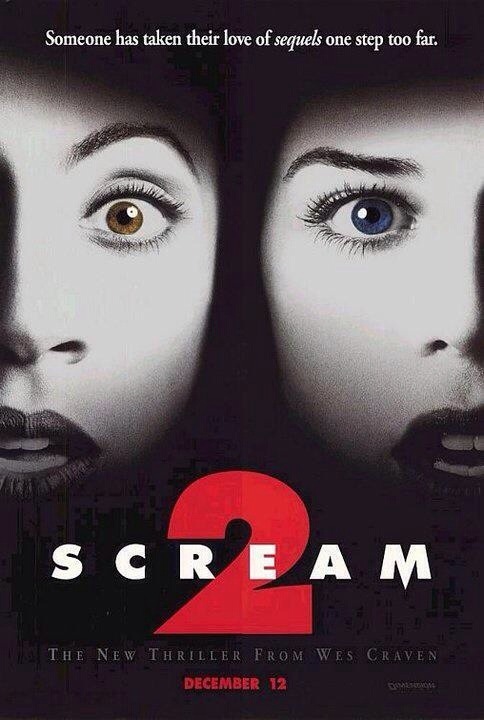 We’ll all have different opinions, but I think Scream 2 is one of the rare sequels that actually lives up to the original even if as a whole it isn’t as good. Scream 2 is pretty much the same as the original in terms of the basic structure, but yet still feels fresh enough that it doesn’t feel like a rehash. Scream 2 is a set a year later where the survivors of Woodsboro are trying to put the past behind them, but when a series of murfers begin to happen and someone is attempting to create a real life sequel. All bets are off and everybody is once again a suspect. After the success of Scream it launched the career of writer Kevin Williamson who is one of my film idols. Williamson’s script is funny and clever filled with interesting and well developed characters, which is something very rare in slasher films and I really can’t think of many slasher films with as many memorable characters as Scream & Scream 2. What I liked so much about Williamson’s script is in reality just about any of the main characters could have survived since they were developed enough. It isn’t exactly difficult to figure, which characters will meet their demise, but again just about anyone could have survived. Williamson clearly understands the horror film and slasher film and never does anything seem forced. Like the original the writing is sharp, clever and often funny, though the only real downside is its fairly obvious the identity of the killer or killers. When looking back at 90s horror it was a very mixed bag and in my opinion it was a middle of the road era. There were some truly fantastic films, some not great, but highly entertaining films, but there seemed to be more subpar films than past decades as most filmmakers were unable to make the transition from the 80s to the 90s and the newer filmmakers to come along mostly failed at brining anything really memorable, but Kevin Williamson redefined the horror and slasher film with Scream and Scream 2 and when people look back at horror in the 90s Williamson will be the first person people think of. The script for Scream 2 has some flaws most of, which come about in the final act when it does get a little over the top and I didn’t really love the reasons behind the murders, but for the most Williamson delivers an excellent and well written movie in a sub-genre not known for the writing and that could be said about even the better slasher films with some exceptions. After Scream from 1997-1999 Kevin Williamson besides writing Scream 2 also wrote I Know What You Did Last Summer (released the same year as Scream 2), the Faculty and was also a producer on Halloween: H20, created Dawson’s Creek and was involved with the first 2 seasons before leaving and wrote and made his directorial debut with Teaching Mrs. Tingle. Even though I felt Scream 2 was well written as I mentioned the final act does get a bit messy and there are some minor flaws here and there, which can be due to the amount of films Williamson was involved in and or script leaks on Scream 2 led to rewrites. However any complaints aside I just loved Williamson’s style and he’s greatly impacted my writing. Director Wes Craven delivers a mostly well-paced movie with some solid suspense and tension and also delivers a movie that is quite fun and exciting. 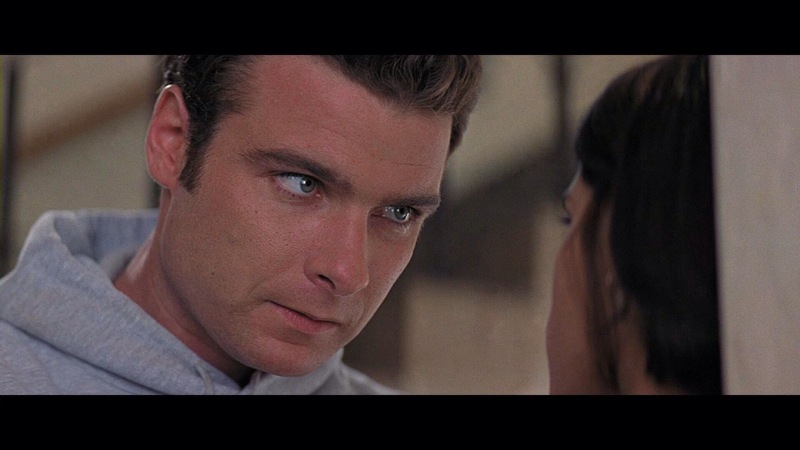 Scream 2 features a little more action than the original since in the first Scream the opening and closing act where is a bulk of the action took place, but Scream was so well written and made it didn’t need to rely on action. This time the added body count was a little more needed despite also being well made and written. 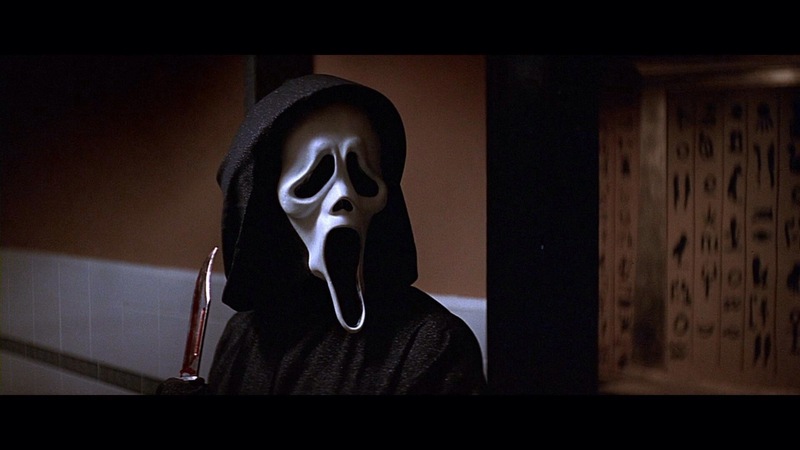 Scream 2 runs at 120-minutes, which is quite long for a slasher film as most run between 85-92-minutes. The scene when Sid (Campbell) has a discussion with the director of the school play, than rehearsals and than the scene with her boyfriend right after are kind of pointless and really make no impact on the overall story and this sequence does slow the pace down. There are also some other small issues with the pace, which has nothing to do with Craven’s direction or Williamson’s writing for that matter, but with a little more editing to tighten up the running time, which again at 120-minutes is a little overly long I think Scream 2 could have been just a notch below the original. Outside of that, Craven delivers an excellent film. Wes is one of my favorite filmmakers and while he can be hit or miss at times he makes a fantastic film with Scream 2, but I will say again like I did in my review for the original Scream this is very much a writer’s movie. Wes Craven does bring a lot to Scream 2, but like I said I still feel it was Williamson’s sharp and clever writing, but regardless Wes Craven delivers an excellent movie that is both funny and suspenseful and is one of the best horror films of the 90s. I think some of the negative comments about the Scream series stems more from what came afterwards; after the success of Scream it seemed every filmmaker attempted at recreating Scream and studios now embraced the horror genre more than ever and casting often included some TV star from a teen show in most cases and a lot of up and coming actors who never would have done these films back in the 80s, but I think it’s unfair to dislike Scream because of what it started because in that case why not hate John Carpenter’s Halloween for all the poor knockoffs that came after that? 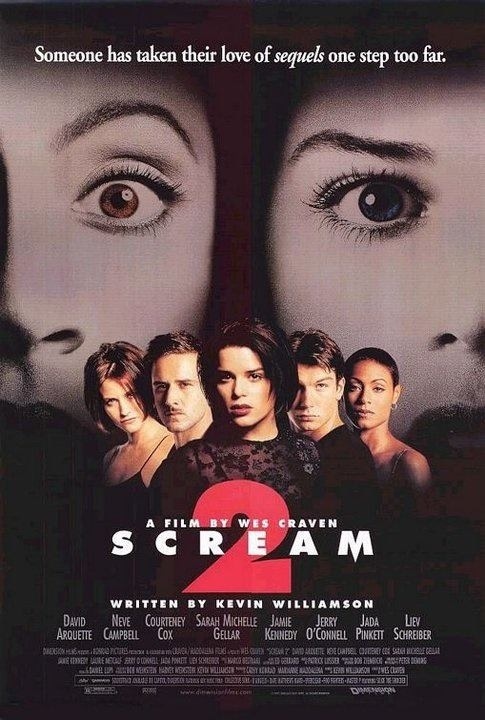 Scream 2 wouldn’t make my top 50, but it’s an excellent horror movie and provides enough fun and scares and easily rates as one of the best of the 90s and if I were to rate my favorite horror films of the 90s odds are both Scream & Scream 2 make my top 5 (the original just might take my top spot of the 90s). The original Scream was a massive hit and proving it wasn’t a fluke, Scream 2 was also a big hit with over 100- million in the US. 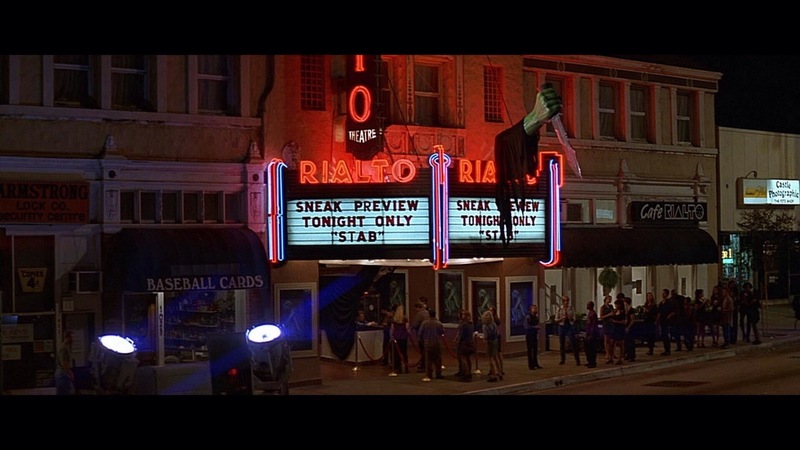 Scream 2 is clever and fun and like the original works as a satire and legit horror film.